Summary: "A young mortician goes behind the scenes, unafraid of the gruesome (and fascinating) details of her curious profession. Honest and heartfelt, self-deprecating and ironic, Caitlin's engaging style makes this otherwise taboo topic both approachable and engrossing. 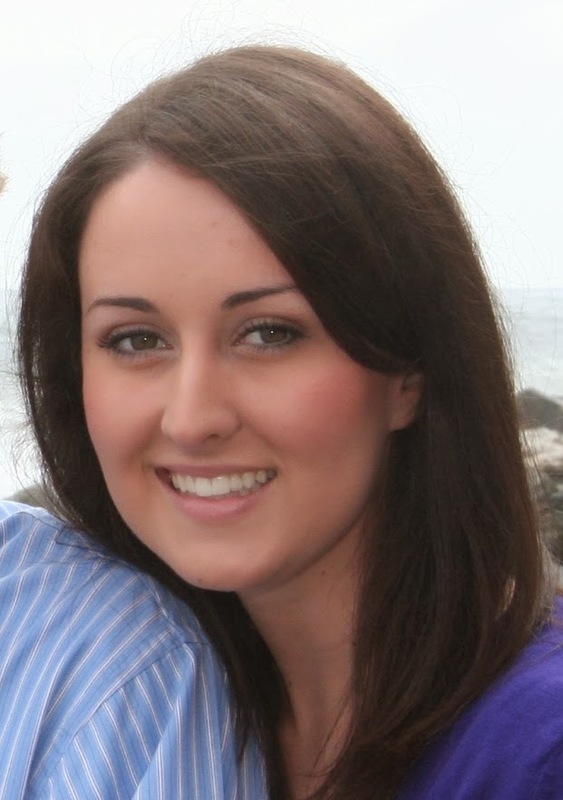 Now a licensed mortician with an alternative funeral practice, Caitlin argues that our fear of dying warps our culture and society, and she calls for better ways of dealing with death (and our dead). " Review: I first picked up this book because it seemed like an appropriate read for Halloween. The subject matter was certainly macabre, but the tone was not spooky at all. Doughty's memoir is respectful and blunt and often quite funny. Didn't expect to laugh in this book, but I did. But more than being humorous, this book was very informative. We don't talk about death very much in American culture, but sometimes I wish we did. When I was nineteen years old, a very dear friend of mine died in a car accident. In the weeks following his death, I had many friends and coworkers share with me their experiences with death. My manager at the bank I was working at told me about a friend of his who commit suicide when they were kids. Another coworker told me about her brother who died in a plane crash two years previously. Another friend had a cousin who died from leukemia. It seemed like everyone was missing someone. And then it hit me: of course everyone is missing someone. Everyone dies eventually. If you live long enough, you are going to have people close to you die. Maybe a lot of them. Death is a universal experience. It should not be so taboo to talk about it. I think those around me shared with me their experiences in order to communicate that they understood a little about what I was going through, which I appreciated. But my greater takeaway was that we are all carrying a heavy burden without ever acknowledging it. So, with that background, I greatly appreciated how transparent Doughty was with her subject matter. How crematories function, where corpses are stored in the time after dying and before their cremation or burial, how the dead bodies are cared for... all of this was new to me. And, at the age of 29, it shouldn't have been. I admit, before reading this book, I knew nothing about the specifics of embalming. Now that I know exactly what that process entails, I am pretty firmly against it. It feels empowering to know more about what has happened to the bodies of my deceased loved ones, and I feel more prepared for how to proceed in the future when I will need to make these decisions for others. This topic might be too uncomfortable for some, but I appreciated knowing more about the various options available to dead bodies. I feel more capable to handle death, if that makes sense. My first brush with death was not at the age of 19, and it wasn't my last either. I have been to several funerals, and have had several people close to me die. I've experienced the drawn out death of ill grandparents, the sudden death of youth, and many in between. I don't consider myself an expert at death, but I am certainly familiar with the extreme and heavy grief that accompanies saying goodbye to a loved one. I mention this because I cannot imagine having to make all the decisions to care for their body in addition to dealing with the unimaginable grief that usually accompanies death. I therefore think it is wise to have at least a rough outline for what you want to happen to your body, and to communicate those desires to those who will be responsible for arranging it. Many don't like talking about death at all, but that just makes it harder on those you love to make these decisions, if they have no idea what you would have preferred - and even worse since they will be making these decisions in the middle of their grief. So I appreciated the chapters that explained in specific detail what happens to dead bodies that are cremated vs. bodies that are embalmed, etc. I liked learning how other cultures deal with their dead, and how that process can be a strong catalyst for helping them deal with their grief. Those chapters left me feeling empowered and inspired. Maybe that's a strange feeling to get from a book taking place in a crematory, but there you go. I knew that most American hospitals offered a free cremation for stillborn babies/late-term miscarriages, but I had never thought about how that process fully played out. Having experienced miscarriages myself, this is somewhat of a sensitive topic. Doughty was never disrespectful in her depiction of how she cared for the bodies of deceased infants, but the chapter was still disturbing to me. The topic of dead babies is just difficult for me, and I wish I had skipped that chapter. I urge caution to others who have experienced miscarriages or stillborn births, as this particular chapter could be similarly disturbing and difficult to read. Similarly, I would hesitate before recommending this to someone who has just barely had a loved one die. Some time and distance could be helpful before reading something this blunt. The ending of the book was the weakest part, in my opinion. I could see Doughty's reasons for why she was calling for better ways to deal with death and our dead, but I did not leave the book feeling like I had a secure picture in mind for what her ideas were for change. I wished for more specifics there, which felt kind of odd since she was so good at being specific up until that point. I also wished for more concrete experiences illustrated in her chapters discussing her time at mortuary school. But even without these additions, this was a strong book and an illuminating read on an important topic. I'm glad I read it. 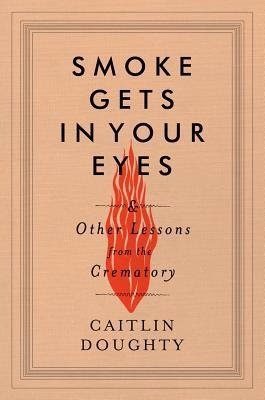 Bottom Line: If you are interested in what goes on inside crematories and how the dead are cared for, then this book is a great choice for you. I found it to be empowering, though would urge caution if this subject is a really sensitive one for you.